The band’s 1994 groundbreaking debut single, Supersonic instantly became an acclaimed rock ’n’ roll anthem. 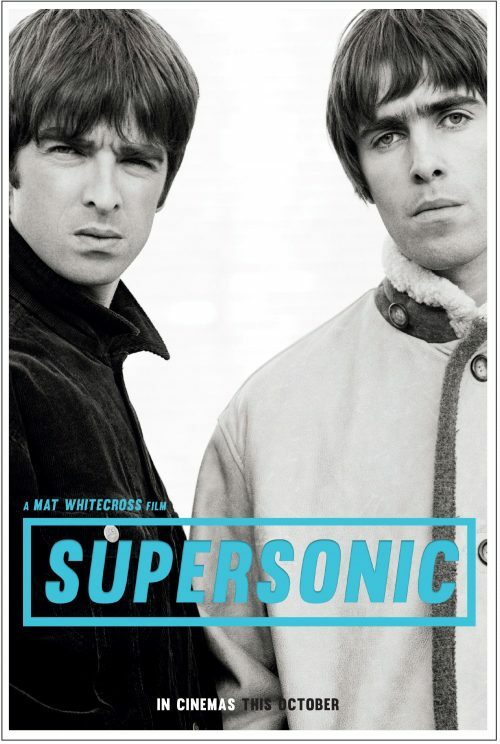 Supersonic is the word that truly sums up the phenomenal journey that took Oasis from releasing their first single in 1994, to record-breaking sellout shows at Knebworth Park in 1996, where 2.6 million people applied for tickets. The band played to 125,000 fans per night – they could have played 20 nights. From Award-winning filmmaker Mat Whitecross and Academy Award-winning producer James Gay Rees (‘AMY’), alongside Fiona Neilson, Simon Halfon and Academy Award-winning executive producer Asif Kapadia, Supersonic documents the bands journey from the moment when Noel Gallagher joined his brother Liam’s band – the two boys who shared a bedroom growing up, were now sharing a stage. From the release of ‘Definitely Maybe’ – which at that moment became the fastest-selling debut of all time – it was then less than two years before they played their historic shows at Knebworth Park. The filmmakers have been given unprecedented access to the band allowing a rare and candid insight into their world along with never before seen archive material. Lorton Distribution will be releasing the film in the UK this October.